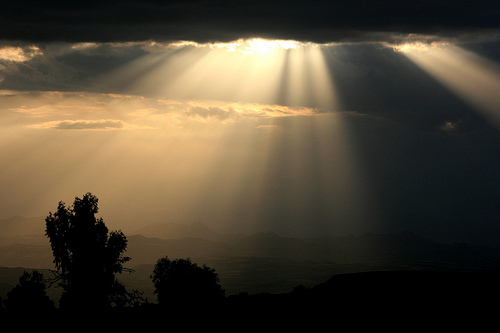 When persons ask whether or not God speaks to us today, often they are not wondering about speaking per se, but want to know whether or not God provides specific guidance to us in particular circumstances. 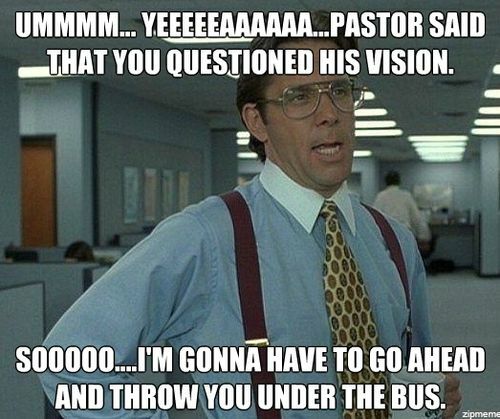 I can understand why the good pastor feels he should speak this way. But is this all he should be saying? What does this mean? Although we may not have clear promise from God for us today, we know, for example, that the Lord’s angel spoke to Philip (Acts 8), the Holy Spirit was said to choose Paul and Barnabas for His work (Acts 13), a man in a vision told Paul to come into Macedonia (Acts 16), and a man named Agabus both prophesied a coming famine and Paul’s being handed over to the Gentiles (Acts 11 and 21 – I note Paul, perhaps exercising his Christian freedom, goes to Jerusalem anyways). Should we simply close ourselves up to the possibility of such events? 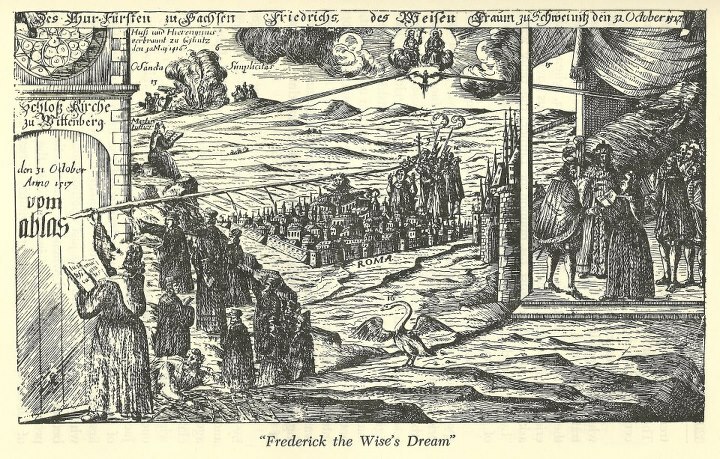 A depiction of Prince Frederick’s dream of Luther fulfilling Hus’ prophecy. But if so, why did the early Lutherans and Lutherans still today talk about the prophecy Hus made being fulfilled in Luther? (even though we don’t put our hope in this). Why do we assume Luther in the Smalcald articles is saying more than simply “we don’t make church doctrines out of things that are outside God’s word”? (see part I) Obviously, judging from what Luther wrote elsewhere, he certainly believed in prayer being answered and Christians taking comfort in God’s answers to their specific prayers…. We all should know that God certainly does provide specific guidance and help to us in particular circumstances when it comes to prayer – and even without it. In I Kings someone loses an ax head and God cares enough about this seemingly little thing to help them find it after Elisha prays. My wife reminds me that 2 years ago, my son lost a small toy during a 4th of July Fireworks display. She prayed with him about it and miraculously found it on the ground far away. She is also convinced that God sent an angel to untie a solid knot on our cat’s leash so he didn’t end up hanging himself on our neighbor’s fence last year. I have no trouble believing that, and in fact do. Many of us probably do have experiences like this where we think that God was comforting us, helping us, guiding us, and in general, communicating with us in a special way. Of course, we don’t put our ultimate hope in this. And this is definitely not that which gives us certainty of our having peace with God! (i.e. being saved, being in a state of grace). But are we wrong to have some robust confidence about these things nonetheless? For example, when an evangelical says “it’s a God thing”, do we need to insist this is necessarily them putting the focus on themselves – or are we willing to consider that it may be a general child-like confidence in God’s providence and that he answers prayers? What if someone says – gasp! – that they are certain that God led them or helped them in this or that way in their lives (as long as it is not into something sinful!)? My father dreamed of his life-threatening car accident about five days before he had it. We know of a Lutheran pastor not far from here who was anointed with oil by fellow pastors and made a full recovery from throat cancer. I know a person who knows that God healed two animals on death’s door (after praying for these). I’ve heard many other stories besides these from people I know. On the other hand, as the Baptist Albert Mohler says, I think we can say with confidence that the person hearing from God about what color to paint their kitchen table is probably not a person to go to for spiritual direction. So what does good spiritual direction look like? I have often said to persons anxiously seeking a spouse, “don’t think there is just one special person God has planned for you that you have to find”. I think that this, in general, is a good way to look at things: God may often simply give us confidence that we can take one particular path that He has presented to us. That said, to give another example of how Lutherans falter here, the other day my wife was reading the Lutheran youth magazine “Higher Things” (Winter 2012 – not available for free). In one article a pastor, Pastor Bill Cwirla, in no uncertain terms tells his audience that God has no plan for their life, and encourages them to look to Luther’s Table of Duties in the catechism. Now, I think there may indeed be a time and place to direct a person to the Table of Duties when they are wondering what to do and seem obsessed about not “hearing from God”. Especially if they are feeling burdened by this (there is no doubt that the danger exists that persons may be taught or just think that they must discover God’s will for their life and that if they do not sense they are experiencing Him or His leading that they are failing as Christians – or may not even be Christians! – see here). That said, should we say things like this to fellow believers? I don’t think so. My wife was quite upset with this particular call to use what some call sanctified common sense and I think justifiably so. These are not either-or kinds of matters. But the impression is given that they are. I understand that there are real questions that remain here: when God spoke in the book of Acts for example, was that using discernible words that were clearly coming from Him and not the recipient of the message? Or was it more of a voiceless “prompting” the recipient felt in his or her spirit? Might God guide, in this or that circumstance (perhaps most likely in places where His word has not been established), not only individuals and families but even congregations in this way today? (I am not talking about “where there is no vision the people perish”, “obey-me-or-disobey-God”, “vision casting”-stuff, whether threatened by pastor or layperson – see here). And still – does not God, having given us the “mind of Christ”, primarily guide us with His Holy Spirit by daily applying His external word to our hearts and minds – empowering what we may justifiably call our “sanctified common sense”? In any case, we Lutherans should be more careful about how we talk about these matters – not giving the impression that we “quench the Spirit” (and giving them reason to think they should look for another church). In countering one excess or another, let’s not fall off the other side of the horse. *-For some good critiques of this book, go here. This problem was precisely why I left the Southern Baptist churches, and went looking for another denomination. Straight away, I narrowed it down to “Conservative” Episcopal, or LCMS. I started with Episcopalians because C.S. Lewis was an Anglican, and I figured if he could be a member, then I can at least shelter there. We found a church before I could move on to you Lutherans. We’ll see what the future holds. My diocese is under lawsuit from the ECUSA. (Very Christian of us, no?) We stand to lose all grounds, accounts, etc. Thanks so much for commenting here. I am assuming you are saying the problem in the Southern Baptist churches you experienced was too many folks “hearing from God” and imposing that on others? I hope you don’t think I went too far in the opposite direction – being open to this kind of thing that is…. I would not want anyone to get the idea I am not very happy about how LC-MS people’s gut instinct is to flee to the Scriptures. I’ve been told many times that so-and-so is called to play football, and I was not allowed to laugh. Southern Baptists “hear from God” that they are to be preachers. There churches send them to seminary naked and broke–every time I know of. Correct. I stand ready to believe anyone who claims special guidance if they tell me they heard a voice, saw a burning bush, had their eyes scaled, etc. Passing a sign for Baskin-Robbins is not a clue from God to date Robin; just because you were thinking about Robin at the time. This actually harmed me. I had almost totally given up on believing in miracles altogether. A couple weeks ago I heard a story of miraculous healing, and it was the first time I ever believed it. Honestly, I was so relieved I almost cried. 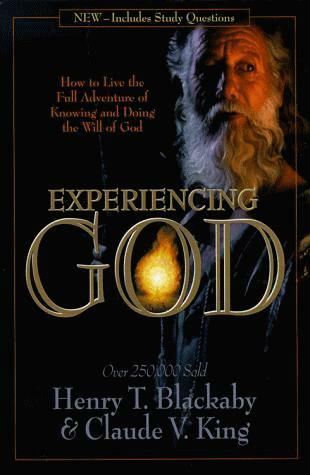 being open to this kind of thing that is….= God giving special guidance, not imposing that on others. I posted that last thing I said without refreshing my page from last night and seeing your comment. Thanks so much for coming back and telling us a bit more. I love the Baskin Robbins example. Good stuff – glad to hear about the miraculous healing. Though how you can have a robust confidence that is God communicating His care to His children is beyond me. I think what this illustrates is that when we fall off the horse either way – on the left or the right – the believer’s trust in God can be harmed. I live to serve. Go crazy.